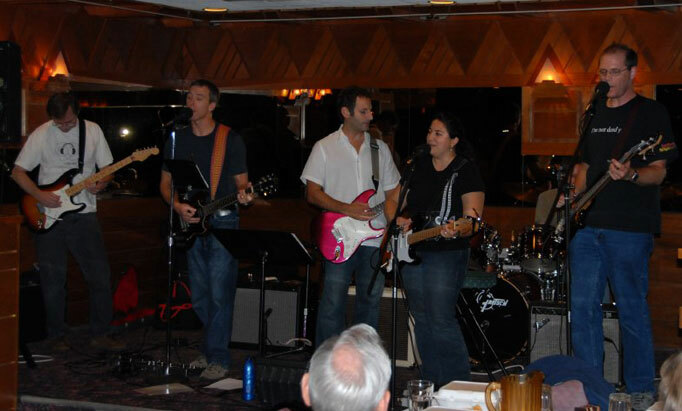 We were invited to play at a party for the Hubble Space Telescope Servicing Mission 4 folks. (Of which Kevin is one.) We played two sets after a lovely dinner, and even better, we had a real, live astronaut join us! Drew Feustel, one of the astronauts that serviced the Hubble on SM4 joined us onstage for 4 songs. He plays guitar in the astronaut band, Max Q, and is a super-nice guy. We hope he will jam with us again sometime! Drew is second from the left in the navy shirt. 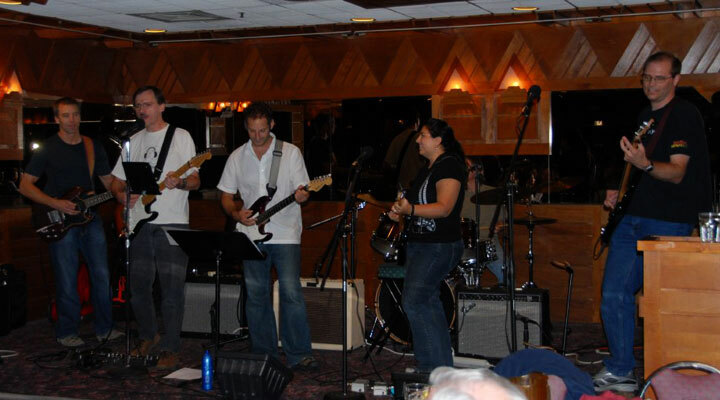 In the center, in the white shirt, is Joe, who at the time was our newest guitarist. He was sick this day, but he was a trooper and played the gig anyway. He doesn’t remember much of it! But at least he didn’t pass out on stage!